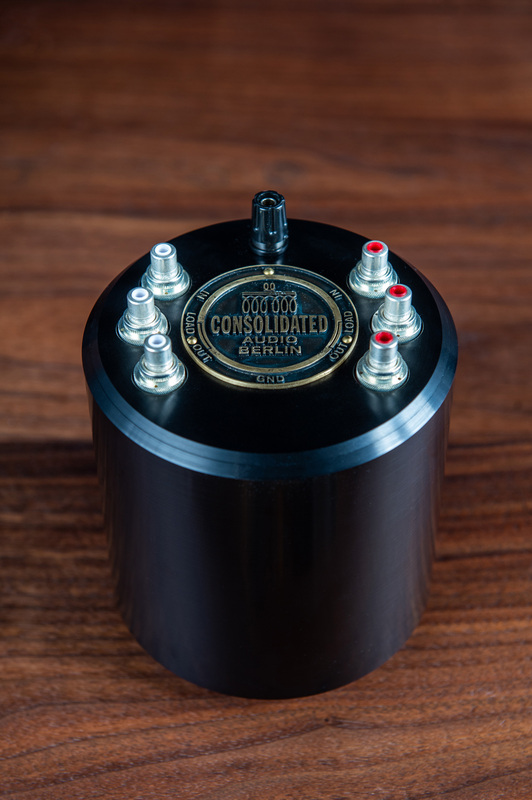 OMA introduces an exclusive new line of step up transformers (SUT) under the Consolidated Audio brand for low output moving coil phono cartridges. These are designed and hand built by electrical engineer Michael Ulbrich in Berlin, Germany using nanocrystalline cores and silver wire. Enclosures are CNC milled from solid billets of anodized aluminum. These are the finest such devices that we have ever encountered. For those not familiar with what a step up transformer (SUT) is or why you may need or want one, More on that here. Enclosure dimensions 4.75" dia x 6" height, weight 6 lbs. Available in black or silver finish. Virtually all of the top phono cartridges today are the moving coil type, which have very low voltage output, typically around .2 to .4mV. 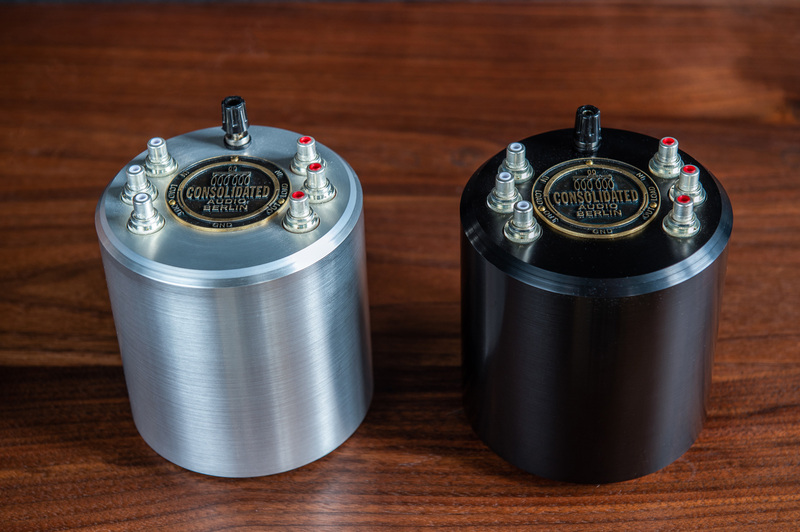 While solid state phono stages are usually equipped with an extra gain stage for moving coil cartridges, the majority of tube phono stages have relied on an input or "step up" transformer which passively amplifies the cartridge's low output voltage by its turn ratio and so delivers a considerably higher voltage to the phonostage for further amplification and equalisation. 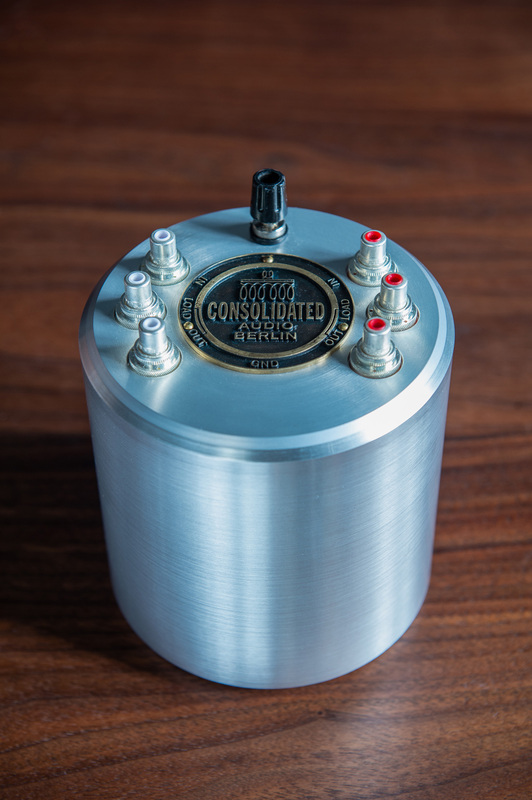 This transformer has an effect on the behavior of the cartridge as well, providing a load that can dramatically improve its performance.